Beware of friends with secrets…Imagine your closest friend utterly betraying you. Years later, when she seeks forgiveness, you invite her to your engagement party as a gesture of reconciliation. But seething hostilities rise to the surface, ruining everyone’s evening. After an awful night, your friend’s battered, lifeless body is found at the bottom of a rocky cliff. 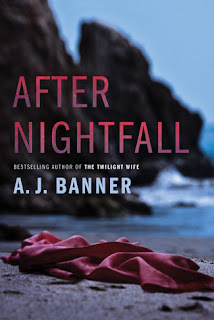 My thoughts: This is the first book I've read by A.J. Banner and I was hooked from the very beginning. I love books that keep me on my toes and guessing all the way through and that is exactly what this book was. This is the type of story where nothing is as it seems. As you meet the cast of characters, you immediately start to wonder if they are trustworthy and as you get further into the story, you are left with more questions than answers. I love stories like this. The doubt and suspense builds around what is going on as I try desperately to figure it out before the final reveal. I loved that this book is told from a single point of view - that of Marissa. While I do like when stories are told from multiple perspectives, in this case it worked having only the single perspective. I might not always have liked Marissa or felt I could always trust her, but I felt she was the best character to tell this story. This is such a creepy, thrilling story. It's not as straight-forward as you might first be inclined to think and that's the beauty of it. Everyone is made to look suspicious and let me tell you I kept thinking I had it figured out time and again, only to be proved wrong. This book is full of twists and turns that keeps you completely captivated and guessing right up until the very end. Audio thoughts: This was a fun, yet creepy book to listen to and I thought Teri Schnaubelt did a good job with the narration. She was able to give each character their own voice and her pacing and intonation was good. 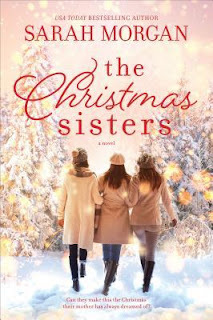 My thoughts: It's been a while since I've picked up a book by Sarah Morgan, but first I just couldn't resist this Christmas-themed book and second, I'm always in the mood for a book about sisters, having two myself. And I loved that this book was more than just a light-hearted romance...there is substance here and I felt that I could relate to these women. There are quite a few themes running through this book and I loved that it effortlessly moves back and forth between the four strong women to tell the story. We have Suzanne, the matriarch of the family, who has adopted the three sisters after their parents are killed in a horrific climbing accident. And then there are the three sisters - Hannah, Beth and Posy. Each are at a cross-road in their life and while they project one image to the outside world, they are struggling internally with what comes next for them. I liked that we got to know them individually as well as see how they interact when they all come together for the holiday season. This book will tug at your heartstrings a few times as well as have you rooting for each of the girls as they try to navigate their relationships not only with each other but with their significant others. It's a story of forgiveness as much as it's a story of love and family. And having it set around the holidays helps to balance things out when things get heavy. I definitely recommend adding this one to your holiday reading list! Yesterday, Sarah Morgan's latest novel, The Christmas Sisters, was published and to celebrate, I am helping the publisher get the word out. 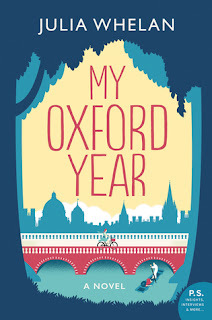 I've just finished reading this book - it's a sweet holiday read - and will be posting my review later on today. In the meantime, I have an excerpt from Chapter 1 to share with you...you can find that below. 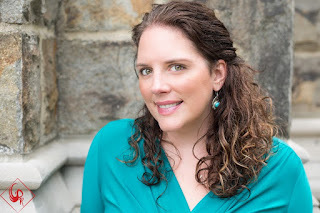 About the author: USA Today bestselling author Sarah Morgan writes hot, happy, contemporary romance and women's fiction, and her trademark humor and sensuality have gained her fans across the globe. Described as "a magician with words" by RT Book Reviews, she has sold more than eleven million copies of her books. She was nominated three years in succession for the prestigious RITA Award from the Romance Writes of America and won the award three times: once in 2012 for Doukakis's Apprentice, in 2013 for A Night of No Return and in2017 for Miracle on 5th Avenue. She also won the RT Reviewers' Choice Award in 2012 and has made numerous appearances in their Top Pick slot. As a child, Sarah dreamed of being a writer, and although she took a few interesting detours along the way, she is now living that dream. Sarah lives near London, England, with her husband and children, and when she isn't reading or writing, she loves being outdoors, preferably on vacation so she can forget the house needs tidying. There were good anniversaries, and bad anniversaries. This was a bad one and Suzanne chose to mark the moment with a nightmare. As usual, she was buried, her body immobile and trapped under a weight as heavy as concrete. There was snow in her mouth, in her nose, in her ears. The force and pressure of it crushed her. How deep was she? Which way up? Would anyone be looking for her? Someone was calling her name. She couldn't respond. Couldn't move. Couldn't breathe. Her chest was being squeezed. She heard the voice through darkness and panic. She felt something tough her should, and the movement catapulted her out of her frozen tomb and back to reality. She sat up, her hand to her throat, gulping in air. "It's all right," the voice said. "Everything is all right." "I had--a dream. The dream." And it was so real she expected to find herself surround by ice crystals, not crumpled bedding. "I know." The voice belonged to Stewart, and his hand was on her back now, rubbing gently. "You were screaming." And now she noticed that his face was white and lines of anxiety bracketed his mouth. They had a routine for this, but hadn't had to use it in a while. "It was so vivid. I was there." Steward flicked on the light. A soft flow spread across the bedroom, illuminating dark corners and pushing aside the last wisps of the nightmare. "You're safe. Look around you." Suzanne looked, her imagination still trapped under the weight of snow. But there was no snow. No avalanche. Just her warm, cozy bedroom in Glensay Lodge, where the remains of a fire danced in the hearth and the darkness of the endless winter night shone black through a gap in the curtains. She'd made the curtains herself from a sumptuous tartan fabric she'd found on her first visit to Scotland. Stewart's mother had claimed that it was their clan tartan, but all Suzanne cared about was that those curtains kept the cold out on chilly nights and made the room cozy. She'd also made the quilt that draped across the bottom of the bed. On the table near the window was a bottle of single malt whiskey from the local distillery, and next to it sat Stewart's empty glass. There was her favorite chair, the cushions plumped and soft. Her book, a novel that really hadn't caught her attention, lay open next to her knitting. A new order of wool had arrived the day before and she'd been thrilled by the colors. Deep purples and blues lay against softer hues of heather and rich cream, ready to brighten the palette of white and gray that lay beyond her windows. The wool reminded her of the wild Scottish heather that grew in the glen in early and late summer. Thinking of it cheered her. When the weather warmed, she liked to walk early in the morning and see the heather as the sun burned through the mist. And there was Stewart. Stewart, with his kind eyes and infinite patience. Stewart, who had been by her side for more than three decades. She was in the Scottish Highlands, tens of thousands of miles from the icy flanks of Mount Rainier. Still, the dream hung over her like a chilling fog, infecting her thoughts. "I haven't had that dream in over a year." Her forehead was damp with sweat and her nightdress clung to her. She took the glass of water that Stewart offered. Her throat was parched and the water soothed and cooled, but her hand was shaking so much she sloshed some of it over the duvet. "How can a person still have nightmares after twenty-five years?" She wanted to forget, but her body wouldn't let her. Stewart took the glass from her and put it on the nightstand. Then her took her in his arms. "It's almost Christmas, and this is always a stressful time of year. " She leaned her head on his shoulder, comforted by human warmth. Not snow and ice, but flesh and blood. "I love this time of year because the girls are home." She slid her arm round his waist, wishing she could stop shaking. "Last year I didn't have that dream once." "It was probably that call from Hannah that triggered it." "It was a good phone call. She's coming home for the holidays. That the best news. Not something to trigger a nightmare." But enough to trigger thoughts and memories. Stewart was right that this time of year was never easy. "It's been a couple of years since Hannah, Beth and Posy were here together." "And I'm excited." Anticipation lifted her mood. "It will be all the more special because Hannah couldn't make it last year." "Which increases the expectation." Stewart sounded so tired. "Don't put pressure on her, Suzanne. It's tough on her, and you end up hurt." "I won't be hurt." They both knew it was a lie. Every time Hannah distanced herself from her family, it hurt. "I want her to be happy, that's all." "The only person who can make Hannah happy is Hannah." "That doesn't stop me wanting to help. I'm her mother." She caught his eye. "I am her mother." "I know." He rubbed his fingers over his forehead. "And if you want my opinion she's damned lucky to have you." Lucky? There had been nothing lucky about the girls' early life. At the beginning Suzanne had been terrified that Hannah's life would be ruined by the events of her childhood, but then she realized she had a responsibility not to let that happen. She'd done everything she could to compensate and influence the future. She wanted nothing but good for her daughters and the burden of it was huge. It weighted her down, and there were days when it almost crushed her, And she'd made him carry the burden, too. "I worry I haven't done enough. Or that I haven't done it right." ***Hope I've enticed you pick this up...this is only part of Chapter 1...but I hope it gives you a flavor of the book. Stay tuned for my review coming out later today!!! An emotional exploration of the frayed bond between a father and daughter…and what it takes to mend it. After Sara’s father, famous sculptor Thomas “TR” Harlow, is badly injured in a fire, she’s suddenly forced to care for a man who is more of a stranger than a parent. Once known as his muse, Sara long ago lost her father to his desire to live the celebrity life. Now TR’s abrasive and unpredictable presence in her home is reopening old wounds—and causing the rift in her already-strained marriage to deepen. As her young son begins bonding with the grandfather he never knew, Sara must decide if she can find it within herself to forgive the man who broke her heart all those years ago. Will she walk away from a chance to rebuild what was lost, or will she find, by bringing her father back to health, that healing can come in many forms? My thoughts: This is the first book I've read by Nicole Meier and I was captivated from the start. As much as I love my psychological thrillers and mysteries, sometimes it's nice to take a break from them and read something different and that's exactly what this is. This book delves into family relationships and second chances. This is definitely a character-driven story and I liked that. We see Sara struggle with the decisions she is forced to make everyday...does she give the father who walked out on her and her mother all those years ago a second chance to make things right? She wants to find out what happened back then, to hear him out, but she also wants to yell and scream at how what he did affected her. At the same time, she is having issues in her marriage and every time she tries to talk with her husband, he turns it back on her. Oh how I disliked him at times. This book makes you feel so much about these characters and that is why I had such a hard time putting it down - in fact I read this book in one day...it's that consuming! Each of the characters is crafted in such a way as to evoke certain feelings and I think it was such a wise choice to do this. Nicole Meier could have gone in such a different way with TR, for instance. She could have made him into a mean old man, but she didn't. She made him human. You might not like him all the way through, but your feelings will change and that just shows how talented the writer is to evoke this kind of emotion about a character. I thoroughly enjoyed this book and the lessons learned throughout. It was a relatively quick read and one that felt real and honest. As a new author for me, I definitely plan on reading more of Nicole's books if this one is anything to go by! My thoughts: When I was pitched this book, I had no idea just how powerful and emotional it would be, nor how much I would I identify with the main character. I love books that explore a person's roots, but I also love books that take on infertility because I struggled with it and it is more common than you might think. Right away, I felt a connection to Jaya. While we do not share a cultural bond, I felt that the fertility issues she went through made me connect with her in a greater sense than anything else could have. This is not an easy path for anyone, and I know the toll it takes on a marriage - it's not something you want to broadcast, and yet it shouldn't be something we keep hidden and buried deep inside ourselves. I loved that Jaya felt such a strong pull to go investigate her roots. The stories she hears over in India felt so real, and I loved how the timelines moved effortlessly and seamlessly back and forth in time from the present to the past. 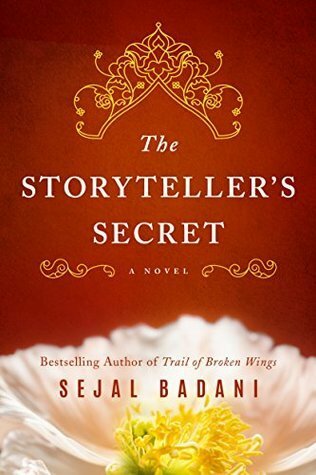 These stories are full of the culture of India and I vividly remembered my social studies lessons on the Indian caste system coming back to me as we hear about the Untouchables and others. This book takes you on an emotional roller coaster...it gives you all the feels. I was laughing and then crying. It was a heartfelt yet heartbroken tale that is also full of joy and self-discovery. It is one that I won't be forgetting anytime soon. As Jaya finally comes to a place where she can finally speak about her heartbreak, I too am at that same place. I had three miscarriages. I only say this so that if you are struggling with infertility or have had a miscarriage and need someone to talk to, you can reach out to me. Please know I have been there. It's not as uncommon as you think and I am more than willing to listen if you need a sympathetic ear. Audio thoughts: This was the first time I've listened to Siiri Scott narrate a book and I thought she did a fantastic job narrating this book. Her accents were spot on and she gave each character their own unique voice. Her pacing and intonation was great and she infused just the right amount of emotion into her voice as needed. This was a tough book to listen to at times and yet Siiri handled it with perfection. 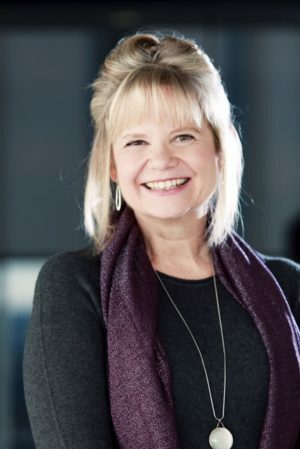 My thoughts: I am a big fan of Julia Whelan as a narrator so when I heard she was writing a book I knew I had to hear her narrate it - how could I not? And it was just as I hoped it would be - amazing! The writing is fabulous and to hear Julia Whelan narrate her own words was an absolute treat. This story was so much more than I thought it would be. At it's core, it's about living life to it's fullest, embracing all that you are given and cherishing life. But it takes you on quite an emotional journey to make these points. This book has all the feels...it will have you laughing one moment and then crying the next. Yes...it is not the light and easy-breezy chick flick type of read you might think it is...this is a much deeper read and for that, I am grateful. This is the type of book that stays with you long after you have finished reading or listening to it. I loved Ella...and I loved her relationship with Jamie. It was a perfectly imperfect relationship and that made it all the relatable. You can't help but fall in love with them as you watch their relationship develop. It's not an easy romance for sure, and there are some major bumps along the way, but this relationship is one that you definitely won't be forgetting anytime soon...I can almost guarantee it. This story pulled me in from the start and never really let up. I was totally invested in what was going on and I loved not only the journey we took with Ella, but where the story ends up. It's one of the books that I definitely plan to revisit in the future as it has so much to digest that I want to think about it for now and then come back to it again. Do you ever do that? Audio thoughts: Julia Whelan is one of my favorite narrators so I was ecstatic to see that not only had she written a book, but that she was narrating it herself. She really proves that she is capable of just about anything! 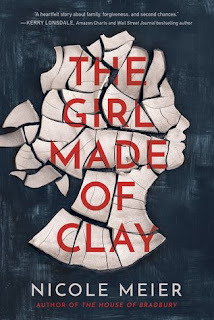 She really made this book come alive and I will say not every author is capable of narrating their own book, but being a talented narrator, this was probably a piece of cake for Ms. Whelan. She gave each character their own unique voice, accents and all, and her tone and pacing were spot on. I loved listening to this book! 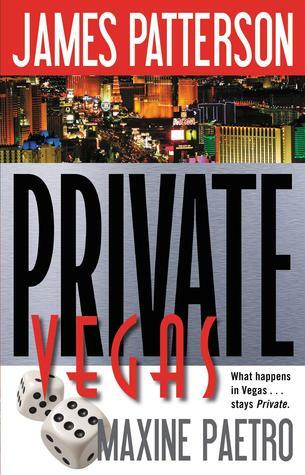 What happens in Vegas...stays Private. My thoughts: I'm always happy when a Private novel features Jack and Justine...and once again, Jack's twin brother Tommy is around. Having the book set on Jack's home turf just makes a book that much more exciting because it means Jack is there most of the time, which means his character is explored and developed more. There is quite a lot going on in this book and while at first it takes a few chapters to sort it all out, once you do, it really takes off. I will admit, I end up being more invested in some of the arcs going on that others, particularly those directly involving Jack and Justine, but the others are still somewhat interesting. And in the end, you do want to see what the resolution will be. As is typical, there are some really awful bad guys here and it's always great to see them get what they deserve. And with the short chapters, you find yourself frantically flipping through the pages in no time, eager to get to the end where all the pieces come together. I do enjoy this series and can't wait to pick up the next book! 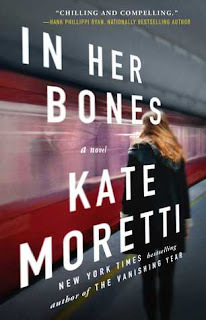 My thoughts: This is the third book I've read by Kate Moretti and I have to say...I'm a fan! She can sure write a twisted, thrilling story that leaves you turning those pages, not sure where it is all heading. 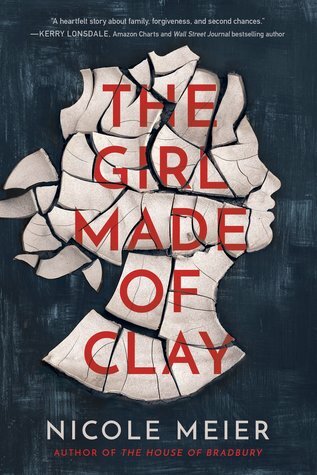 I love a good serial killer story, and this one gives us a slight twist on that by having our main protagonist be the daughter of a famous serial killer. Edie Beckett's mom killed six women when Edie was a child. Luckily for Edie, her name was kept out of the media and now, as an adult, she is living her own life, except for one slight little thing...she has this unhealthy obsession with the families of her mom's victims. It's all good until one ends up dead...and she becomes a suspect. I liked the way this story was told. Most of the story is from Edie's point of view, though there are also chapters from Gil Brandt's point of view, the detective on the case from when Lilith, Edie's mom was first arrested. He is still a detective and helps Edie when she is a suspect in the current murder. And then there are excerpts from the unauthorized biography about Edie's mom...I love the whole concept of a book within a book. This is where we really learn a lot about Lilith and the crimes she committed. Edie is such an interesting character. She is complex and yet there is something about her that makes you wonder if she is completely reliable. You want to trust her but then some of her choices make you wonder if you should. And yet when you look at her family history, you can't help feel bad for her. She makes a compelling character either way and you do end up wanting to root for her...you just can't help it. 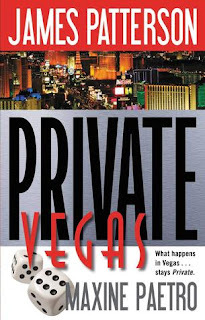 This book is cleverly crafted and suspenseful. The twists and turns keep you guessing as to where it is heading and let me tell you - I certainly did not see that ending coming! It's such a good sign when I am totally floored like that. I definitely recommend picking this one up, especially if you enjoy darker, thrilling reads, without all the gore. About the author: Kate Moretti is the New York Times bestselling author of The Blackbird Season, The Vanishing Year, Thought I Knew You, and Binds That Tie. She lives in eastern Pennsylvania with her husband and kids. Into the Darkness is the chilling new thriller from the bestselling author of Duplicity and Beneath the Surface. 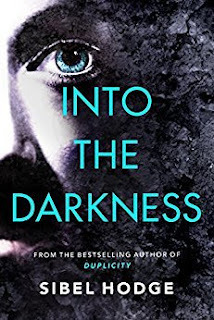 My thoughts: There are a few authors that I go to only read their books as audio and Sibel Hodge is definitely one as her books translate so well on audio...there's something about a really good, dark thriller that always works well on audio and so I always listen to these types of books. This book is dark, thrilling and at times claustrophobic. It exposes the terror of the dark web and really had me on the edge of my seat the entire time. It's told by three people and each part was equally compelling, which isn't always the case when you have three different narrators. I loved that each section had it's own identity. The Missing section was creepy, chilling and claustrophobic and you really end up fearing for Toni. She is locked in that basement and it is terrifying. Is she going to get out in time? The Detective section is slow and methodical...everything Carter does is by the book, for the most part. The Vigilante section is fast moving and action packed. Mitchell is always on the go, always needing to be doing something. He's not one for sitting still. Having these sections set up this way really set each one apart from the other and made them each all the more believable as well. It gave them all their own individuality. The story is intricate and layered and we slowly get all the pieces to put together what is going on. At first it seems as if there are separate stories going on, but eventually you start to see how they are linked, as little threads start to unravel and come apart, tying them together. It's not apparent at first and it takes a while to get there, but it's a complicated plot that winds it way together effortlessly. This story is addicting and the short chapters just add to that. With the tension mounting and the twists and turns coming at you, this story takes on a frantic pace. It's brilliantly crafted and kept me glued to the story from start to finish, but is certainly not for the faint of heart. Audio thoughts: I loved that this was narrated by three different narrators - and each one did a fantastic job with their own section. The only narrator I was familiar with going into the book was Simon Vance, who I adore, but the others - Charlotte Cole and Shaun Grindell - both held their own for this book. It's a dark, disturbing book and each of these narrators brought their A game. It was definitely a chilling audio experience and I recommend listening to it if you get a chance! 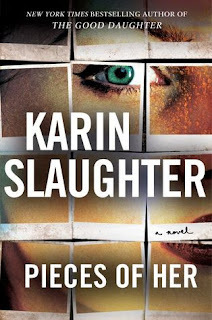 My thoughts: While I have only read the last few books of Karin Slaughter - I have become an instant fan! Her books are so addicting and intense and filled with exciting, well-developed characters that you can't help but get attached to. At the heart of this story are two fundamental questions: Can you really escape your past? and How well do you really know those around you? These two questions come to play when Andrea and her mother Laura are caught in a shooting at a mall. Andrea sees a side of her mother she never saw before and suddenly her whole life shifts...who is this person in front of her? In the aftermath of the shooting, things take on a new light and send Andrea searching for answers that she never knew she needed to know. I loved the way this story is told. It alternates between Andrea's chapters in the present tense and Laura's chapters in the past tense. But I have to say, this is a book you need to pay attention to and when I first picked it up, I totally was not in the right head-space for it. There wasn't anything wrong with the book - I just could not concentrate on what I was reading, so I had to put it down. Once I was able to give my full attention to the book, I was able to totally immerse myself in it...and I'm so glad I did that. This book really kept me guessing all the way through. As the pieces of the puzzle slowly come together, we find out just who Laura is and why things are the way they are. I had some guesses but I never did put it all together. It's a clever, complex, thrilling novel...and I highly recommend it!